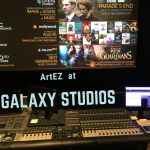 ArtEZ Filmmusic Composer trip to Galaxy Studios in Belgium! Here are some of the pictures we took at the amazing Galaxy Studios. We now know why so many alumni keep coming back to record scores here with the talented Patrick Lemmens, the SOUND is incredible! 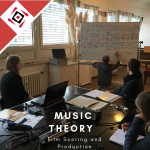 Music Theory at the Film Scoring and Production Course. It looks more complicated than it is, but it sounds wonderful! 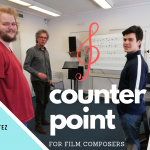 Great compositions coming up!